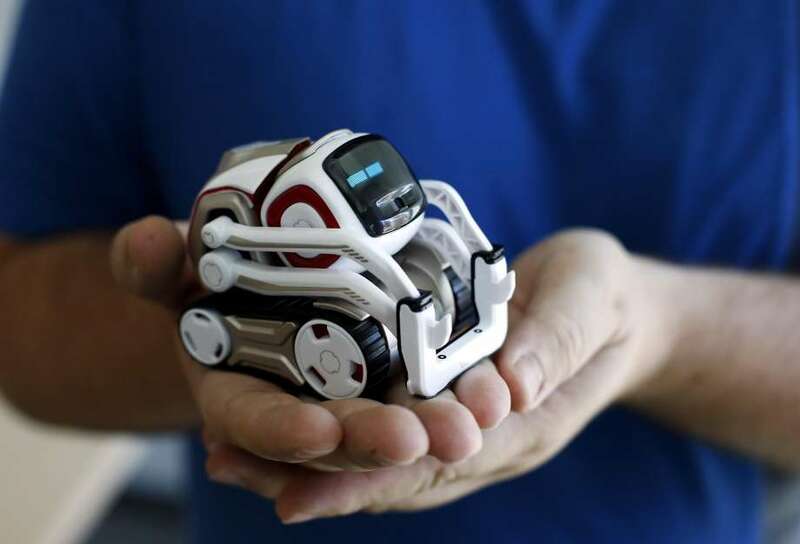 ‘”Czmo” built by San Francisco-based startup Anki is a charming robot that is small enough to fit in the palm of a hand. It resembles a toy truck with forklift-like technology for lifting light objects and has an animated face displayed on a CRT-styled screen that holds two large, blue eyes. 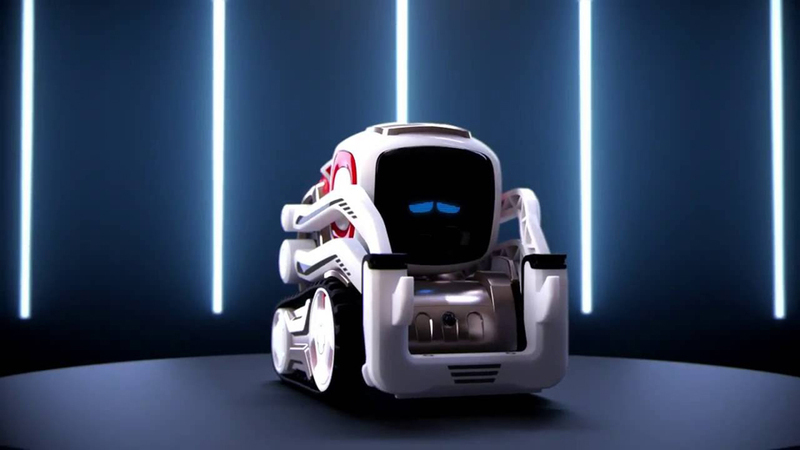 Professional animator Carlos Baena, who worked on features like “Toy Story 3” and “Wall-E”, lead Anki’s team of animators and designers (some of whom worked at animation studios like Pixar and Dreamworks) who developed the way it moves and interacts with its surroundings. It’s animated eyes are hugely important for conveying it’s “emotions”. Cozmo’s pupil-less eyes shape-shift to reflect its mood, so if it’s feeling happy, its eyes compress into little slits in a cartoonish manner. 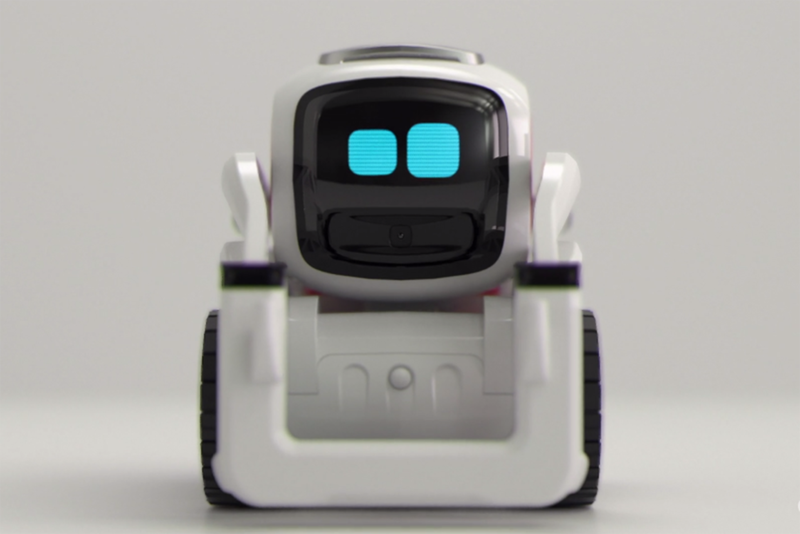 If a player hasn’t interacted with “Cozmo” for a while, its eyes quickly morph into a little game of pong, indicating that it is bored. 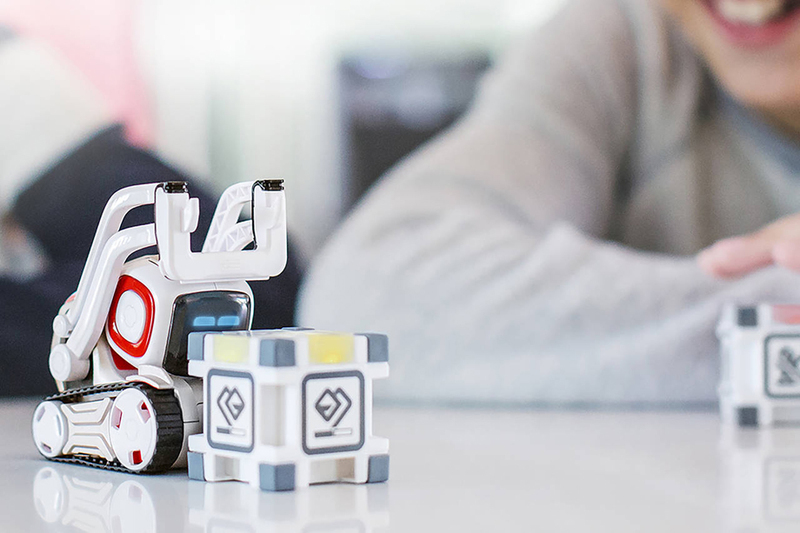 Owners connect the robot to a mobile app through WiFi, and the app acts as it’s brain, so to speak. Once turned on, it’s piercing eyes light up and indicate that the little robot is scanning its surroundings. 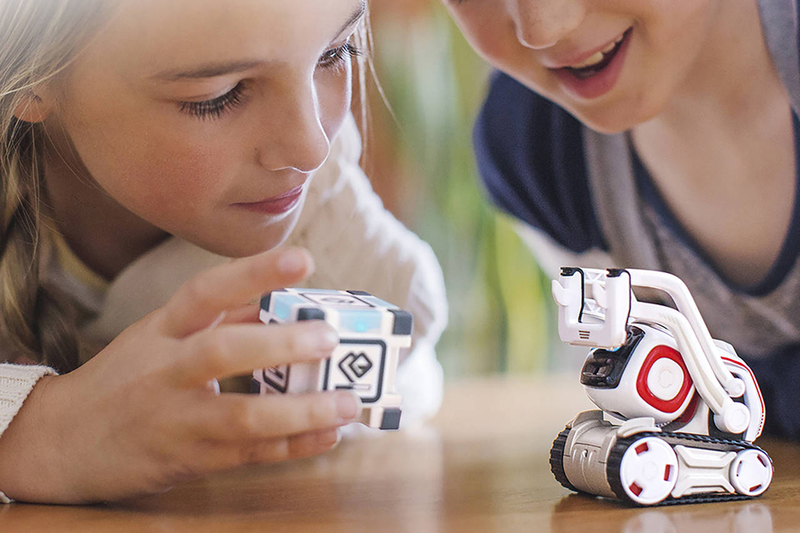 Using artificial intelligence technologies, “Cozmo” can lock on and remember a person’s face through facial recognition so that it knows whom it wants to play games with. Anki built software models that were fed “thousands of examples of faces”, which helped train it in identifying people. The robotic companion is intended to play custom games with its owners. 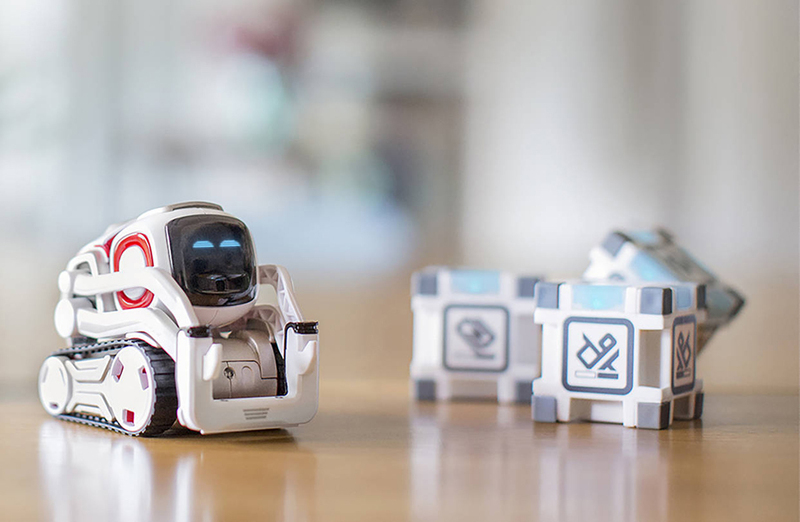 The Anki “Cozmo” has been designed considerately enough to make people smile and is scheduled to arrive this coming October. And also we would recommend you to check other modern robots: 7 Best Floor Mopping Robots.